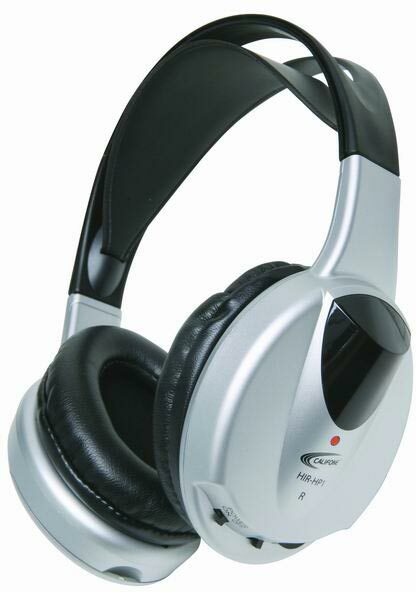 Califone's HIR-HP1 infrared headphone is an ideal group listening headphone for use with the 2395IR and 3432IR media players. The HIR-HP1 headphones use an infrared signal, so users don't have to be tethered to a listening center or media player. Unlimited headphones can receive audio signals from from the player. Adjustable headband with ambient noise-reducing earcups help block out external distractions and keep students on task.